There’s a scene about a third of the way into Celeste Ng’s Everything I Never Told You that just about sums up, for me, the experience of reading it. The family members around whom the narrative revolves are still reeling from the death of the middle daughter, Lydia—I’m not giving anything away here; you find out about Lydia’s death in literally the first sentence of the book—and two police officers have arrived at their home to ask a few more questions. Marilyn Lee, the mother, begins shouting at the police, becoming angry and accusatory. James Lee, her husband, tries to calm her down and apologizes to the officers. Now, this is a dynamic in family dramas that is familiar almost to the point of cliche—the hysterical mother, the conciliatory father—but reading it in this book was electrifying to me because of one detail that colors every interaction in the story, and which made it all so perfectly tangible for me: James is an Asian-American man, Marilyn is a white woman. Suddenly the whole thing takes on a whole new dimension. Here’s a man who has spent his entire life being ridiculed and excluded, who wants so desperately to fit in and be “normal” that he’s dedicated his life to teaching college students about cowboy imagery. And here’s a woman who, dreaming of being a doctor in her youth, has spent years sublimating her rage at the condescension of men. I wondered as I read this, would a mainstream audience—and by that I meant a white audience—understand this? Is this something that is only obvious to someone like me? After the officers leave, though, Marilyn accuses James of kowtowing and all of the subtext becomes text. No one is going to miss that. At least, I hope not. And so it goes for the book as a whole, as well. In so many ways it is a familiar story. Literary fiction on the whole is thick with themes of family tragedy, of longing, of failed communication, and in that way Everything I Never Told You is perfectly representative of the genre. But by putting that story in the context of interracial marriage, and particularly with this racial mix, it becomes something new, something I can’t recall ever seeing before. I almost feel a little guilty at how thrilling it was for me to read this book. Almost. But it’s not as though I haven’t also gushed over books where none of the characters looked like me. I recognize bits of myself all the time in other stories, but here it felt like a little whisper, the author saying, “I know you. That thing you felt—I felt it, too.” It’s not something I’m used to. Not this thing. And there was so much I felt as I read this book. The intimacy of the narrative, the way each member of the Lee family is shaped by each other, by their histories, and by the way the rest of the world treats them, it all had me desperately pulling for them, which made each missed opportunity all the more heartbreaking. And if I saw echoes of myself in James Lee’s longing for inclusion, and then in each of his children’s lives as well, how much more infuriating did that make it when they were small to each other, when they hurt each other, when they were self-absorbed or oblivious? How much did it sting to reckon with the ways I must have failed to be the man I ought to be for my own family, good intentions or not? It’s only February yet, but if Everything I Never Told You is not my favorite book this year, it will have wound up being an amazing year for me as a reader, because topping this experience is going to take some doing. One of the things I love about science fiction and fantasy—not the only thing, but one of them—is that they are really the genres most suited to exploring big ideas. You want to see what a world would look like where gods walked among us, where religion was not a matter of faith but of unassailable fact? Boom, you can do it. You want to see what would happen when such a world has its gods taken away? No problem. You want to see how people survive and adapt and get stuck and move on in the aftermath of a cataclysmic war? Not only can you do this, but you can make it as broad or as specific as you want. There are no boundaries beyond what you can imagine. I’d say that Robert Jackson Bennett had a lot to live up to in writing a sequel to his 2014 book City of Stairs. It’s a book whose style and premise were unlike just about anything I’ve read before; a book with ideas that, though big, never overshadowed its wonderful characters; a book that was insightful and imaginitive and also a lot of fun to read. For all that, City of Blades may be even better. Picking up about five years after the events of City of Stairs, City of Blades leaves the previous book’s protagonist, Shara, and instead follows one of the supporting characters, General Turyin Mulaghesh. Pulled out of retirement, Mulaghesh is sent to find a missing agent, who herself had been sent to investigate some strange occurrences in a city that was once the seat of the deity of war and death. As her mission unfolds, Mulaghesh finds that many things are not as dead as they seem, including her own past. As before, the detective-story structure of Bennett’s book gives a strong feeling of exploration and discovery, and the world he has imagined lets him grapple with some pretty big concepts. What kind of world is left behind in the wake of huge, earth-shattering change? Where is the line between atrocity and necessity? Can we atone for the sins of our pasts? How much will we sacrifice in order to do what’s right, or what needs to be done, and are those the same things? Do old wounds ever really heal? Yet the book is anything but didactic. Like the best examples of the genre, it manages to be high-concept and fun, alien and familiar, plot-driven and well-characterized all at the same time. I haven’t had a chance to read his older works yet, but with this series Bennett has managed to cement a place as one of my favorite contemporary fantasy writers. The third book is scheduled to come out next year, and I’m quite looking forward to picking it up. Until then, I’m happy to give this book (and its predecessor) my full-throated recommendation. 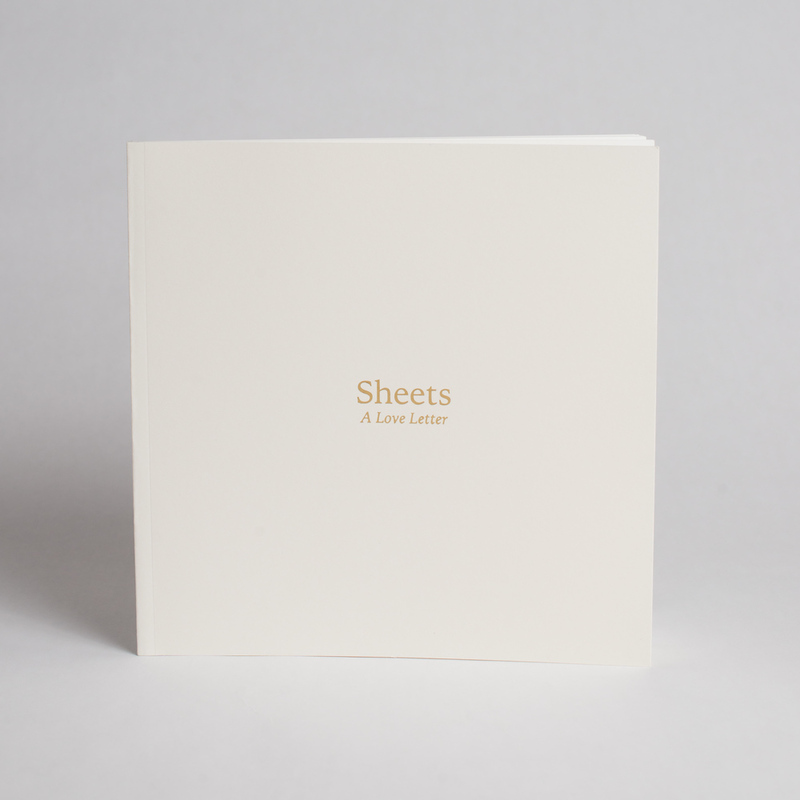 As some of you may know, I've been working on a small edition of handmade artists books for my series "Sheets: A Love Letter." I'm still finishing work on that set of books, and I'm very pleased with how they're turning out. The one problem with handmade books, though, is that due to production costs and the amount of labor involved in making each one, I can't make them as affordable as I'd like. So, following up on a suggestion I got from Aline Smithson at a portfolio review last fall, I've decided to self-publish a softcover version of the book. The new softcover book was designed by me and printed by Edition One Books, who were very easy to work with; I would definitely recommend them for anyone looking to for a short-run printer. The edition is 100 books, and each will be signed and numbered. If you'd like to buy one, you can pop over to my online store, where they're available for $25 each. Patreon subscribers at any level also get 20% off, so don't forget to use your discount code when checking out if you're a subscriber. A few more detail shots will follow at the end of the post. Thanks so much to all of you who have supported me over the years. It really means a lot to me.